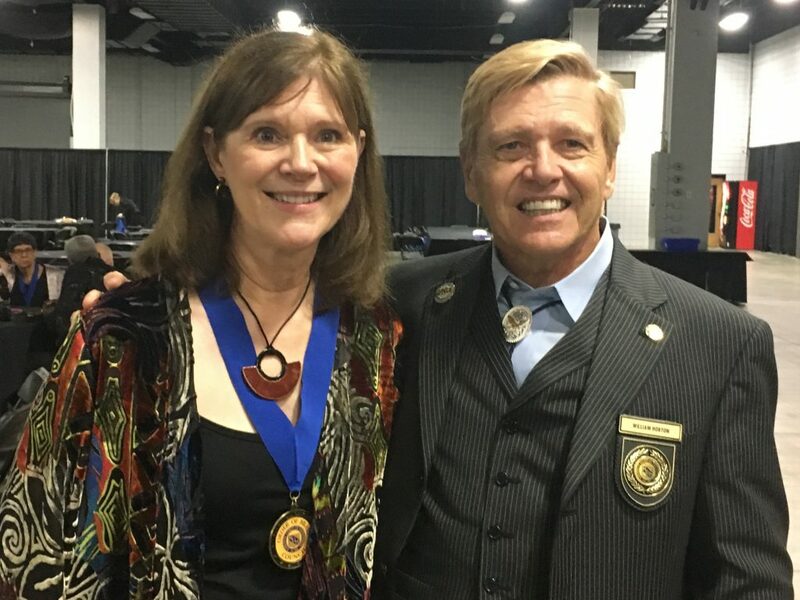 Elizabeth Campbell has just been awarded the Order of Braid by the National Guild of Hypnotists. The Order of Braid designation is the centerpiece of the NGH Awards System and recognizes a lifetime of outstanding achievement, dedication, and service. She is shown below after the awards ceremony with Dr. William Horton, Director of the National Federation of NeuroLinguistic Programming. Elizabeth Campbell is an active member in good standing of the National Guild of Hypnotists, the National Federation of NeuroLinguistic Programming and the HypnoBirthing Institude and a member of the National Federation of Hypnotists. She is a Board Certified Hypnotherapist as granted by both the National Guild of Hypnotists and the National Board of Hypnosis Education and Certification, a Master NLP Practitioner and Instructor with the NFNLP and a Certified HypnoBirthing Practitioner from the HypnoBirthing Institute. Additionally, Elizabeth Campbell holds special certifications in Pediatric Hypnotism, Sports Hypnotism, Sports Enhancement Specialist, Certification in Complimentary Medical Hypnotism, Weight Loss Specialist, and Pain Management. Elizabeth is also an Emergency Hypnosis Educator.